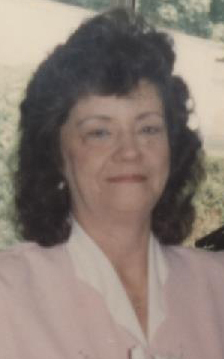 WASHINGTONVILLE – Ruth Ann Austin, age 76, died at 8:55 p.m. Friday, January 18, 2019 at Salem Regional Medical Center. She was born January 2, 1943 in Leetonia, Ohio, the daughter of the late Frank and Harriett Ludt. Ruth Ann was a homemaker, Christian by Faith, and an avid reader. Her husband, Delmar Austin, preceded her November 2008. Survivors include a daughter, Connie (Ron) Geist of Salem; step-children, George Austin of Kansas, John Austin of Louisville, Connie Custer of Salineville and Carol White of Youngstown; two sisters, Debbie Senteno of FL and Joyce Copeland of GA; four grandchildren, Christina Geist, Cindi Hendershot, Crystle Geist and Ronda Geist and seven great-grandchildren. Besides her parents and husband, her siblings, Mary McGuire, Fred Ludt, Paul Ludt and Irene McQuistion preceded her in death. Funeral service will be held at 11:00 a.m. Wednesday, January 23, 2019 at Stark Memorial Funeral Home and Cremation Services with Ron Geist officiating. Calling hours will be held from 5:00-7:00 p.m. Tuesday, January 22, 2019 and 10:00-11:00 a.m. Wednesday prior to the service at the funeral home. Burial will be held at Highland Memorial Park in Beloit. Donations may be made to the American Heart Association, 840 Southwesterrn Run, Youngstown, OH 44514.